Meet 17 FREE fonts I love! I love fonts! There are lots of websites that offer fancy, FREE, fonts for you to download for personal use. They are fantastic and a great way to spice up your visuals. 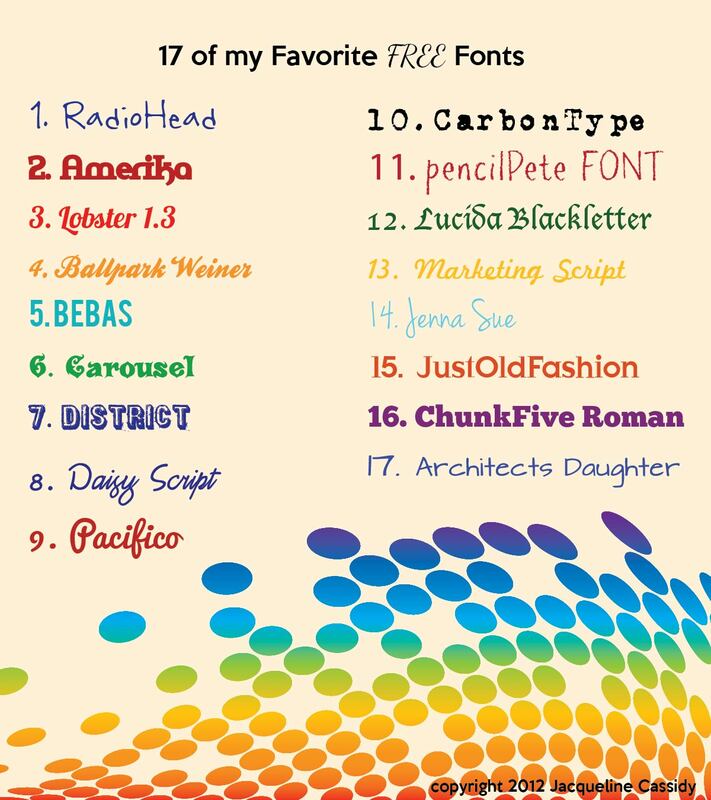 So, move over Verdana, see ya Helvetica…in moves 17 of my favorite FREE fonts!